Country fans, are you hyped for the tour of the year?? That’s right, Chris Young returns in 2019, with none other than Chris Janson as support!! This incredible pair are headed to the Shoreline Amphitheatre at Mountain View on Thursday 8th August 2019 – do not miss it!! 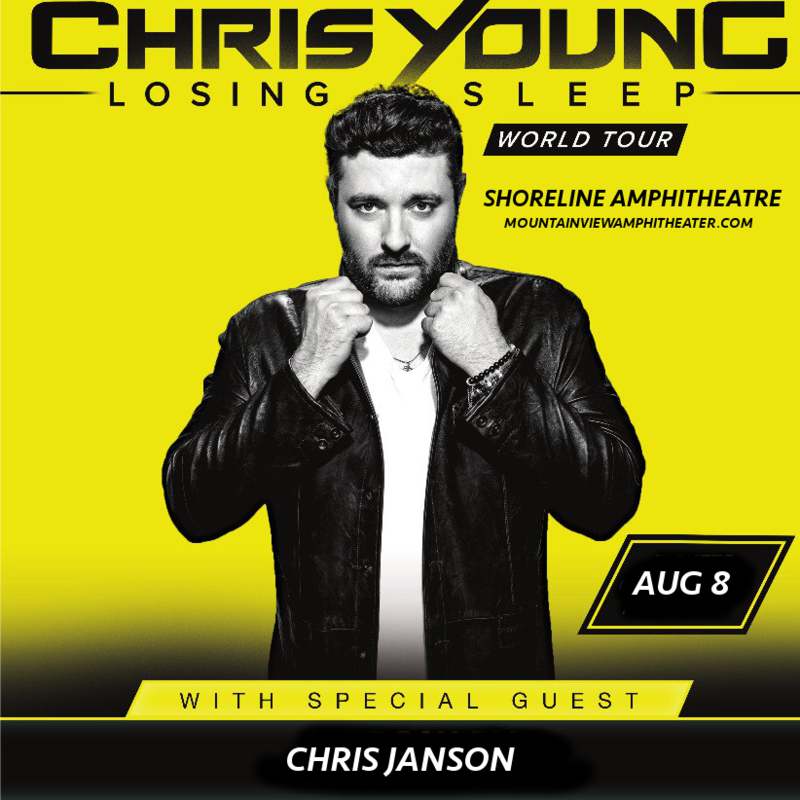 Hit the “Buy Tickets,” button now and get ready to party at Chris Young and Chris Janson’s incredible concert on August 8th!! Rising to fame as the winner of the talent show Nashville Star, Chris Young was immediately snapped up by a major label and released his self-titled first album, which saw two singles – "Drinkin' Me Lonely" and "You're Gonna Love Me" – hit the Hot Country Songs Charts. Since then, his success has been exponential, with a series of number one hits from his second album and sales of millions of his albums since. His latest album, “Losing Sleep,” was released in 2017, and fans can expect to hear plenty of material from this amazing record as well as all the hits live!! What are you waiting for?? Grab your tickets to see Chris Young and Chris Jason NOW while you have the chance! !